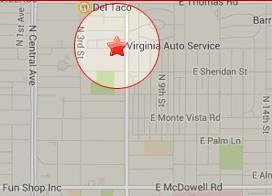 Virginia Auto Service Provides Quality Audi Repair in Phoenix, Arizona. Save up to $50 with this online coupon. Virginia Auto Service provides complete Audi Repair in Phoenix, Arizona. Certified Audi sMechanics. We have the same tools, software, and equipment as the dealership. Here’s what our customers are saying about getting Audi repair at Virginia Auto Service. “I’ve taken Audrey, my Audi, to Virginia Auto Service a couple times for routine maintenance. Being new to the area and because the Audi dealership is way up in north Scottsdale, I decided to give them a try. Not to mention because I value the more personalized service of a small business, but that’s a longer discussion. 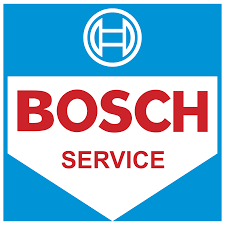 I’ve been thoroughly impressed with their personal service, their ability to squeeze you in on relatively short notice, the ease in making an appointment, and their communication on what the deal is with your car. They also have a free ride service to drop you off and pick you up, which is highly convenient! Why choose Virginia Auto Service for Audi repair in Phoenix, Arizona? Experienced and certified Audi mechanics! Conveniently located in downtown Phoenix at 7th Street and Virginia. We won’t try to sell you work you don’t need! At Virginia Auto Service, we use premium LiquiMoly motor oils approved by Audi, but not all repair shops do. Before you get your Audi serviced anywhere, make sure the shop you are using only uses Audi approved motor oils and fluids. We only use top quality Audi approved parts! Call us today at 602-266-0200 to get a free second opinion about your recommended Audi service or repair or schedule an appointment for Audi service online.